The BBC, ITV, Channel 4 and Channel 5 have formed a new alliance aimed at ensuring their respective catch-up TV platforms are built into new connected televisions as standard. 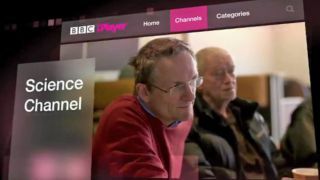 The new group, dubbed Freeview Connect, will aim to ensure the free-to-air web-based offerings like the iPlayer, 4oD, 5 on Demand and the ITV Player are on-board, without users having to download apps. The new pact comes at a time when the public service broadcasters have been pondering their ongoing investment in the YouView platform. The YouView proposition was aimed at securing the future of free-to-air television, but has been increasingly used as a pawn for BT and TalkTalk to hawk broadband and pay-TV subscriptions. This new initiative, put forward by the Digital UK group funded by all four broadcasters, will help PSB's "get back to their free roots," one source, who also suggested Sky could possibly be involved, told the Guardian. Just last week, the BBC Trust published a report advising to corporation to "seriously reconsider" their commitment to the YouView platform. The report read: "In practice, nearly all YouView 'sales' have been of subsidised equipment offered by sponsoring internet service providers [BT and TalkTalk] in exchange for a subscription payment of some kind. This may have implications for the BBC's strategy of promoting "free" access to its services." Could the new initiative deliver a crushing blow to the YouView service? Let us know your thoughts in the comments below. YouView one year on: Last summer, we looked back at the successes and failure's of the web-based platform on its first birthday.